Wonderful! Great! And yes – we thought we had already done all this. Several years ago a draft masterplan was produced but it was finalised. Maybe it was too conservative in its recommendations – at least that’s what I thought at the time and still do today. 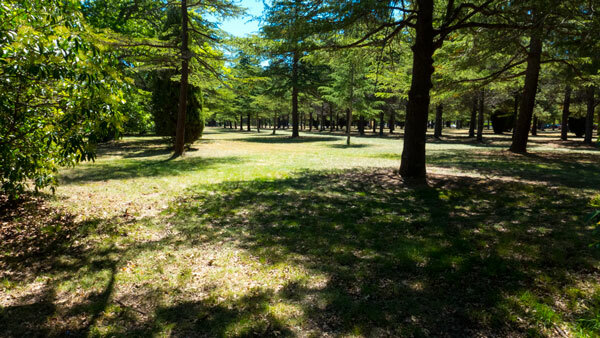 Haig Park is potentially The Major green space for the inner northern suburbs. Sadly because this green belt was designed for another purpose, as a windbreak, it does not function well for the reasons it is required today. This part of Braddon has rapidly transformed into an area for multi storey apartments – and the pace of change continues (all good – well mostly good). This means these apartment dwellers are looking for a safe and friendly place to hang out, enjoy the greenery, and to do what groups or individuals like to do in open spaces. Haig Park is not that space just yet. It should be. This could change. I urge everyone to go online (links below) and to have their say. Yes some of us have been through this exercise before and some of us have expressed our thoughts through RiotACT as well as in articles in other places. Oh well – such is life when dealing with bureaucracies. Here’s one good piece from the Fairfax Press – click here. And here’s another very good one on HerCanberra – click here. In the latter Philippa Moss includes a brief history, her recommendations for changes and an amazing list of previous planning efforts – most of which have yet to deliver. I urge people to push strongly for major changes – and yes that will upset the heritage lobby. I suggest that over time that most of the regimented lines of tree should be removed and other trees in different configurations introduced. The number of trees should be maintained – but they should be a different range of species in very different groupings – serving different purposes. A giant wind break is not longer needed. We need places with shade and others with open spaces for all manner of things as suggested in the articles mentioned above. Gardens, shrubbery and a variety of walkways should be introduced, and as others continually suggest, spaces should be designed for a range of recreational activities, including spaces to sit quietly (not all activities have to be noisy). Also my preference is that dogs should be restricted to certain areas so that the rest of us can just sit and muse and/or wander about without having to be on the lookout for creatures on the loose. In short – Haig Park needs major changes to present a range of opportunities for locals and others to enjoy a set of wonderful open green spaces in the middle of this city. 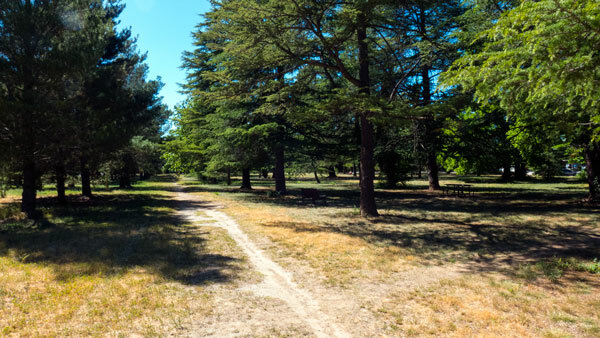 Here’s the link to the ACT Government’s “Your Say” page on Haig Park. Please do not hold back – get all your ideas out there – attend any sessions you can – and let’s get this green space redesigned (in a big way) as a major suburban space – with loads of choices on how you and others could use it. Final points: Please do not get hung up on the name of the park – being named after some WWI British General. Yes I do have a problem with that but I would encourage the energies be targeted at getting the place less formal looking – those lines of regimented trees are just plain silly today! The debate on the name has been a distraction – get the thing functioning the way it should be and maybe the name change will happen later. Not a priority really – for the moment. And yes – I am sure someone will mention the tram. The tram will make this parkland more accessible to more people, but that will only make sense when the parklands are not known for being dangerous and (at night time) spooky! Haig Park should have a profile of being somewhere you could go day or evening – and feel safe and enjoy yourself being active, quietly picnicking with friends and/or family or maybe just sitting alone reading a book. This latest consultation closes late April 2017 – and there are stages and activities listed to the side of the online page. Over to you – Have Your Say. And let’s hope they finish and implement this masterplan–very soon!